Michael Charles Premier Wine Shop in Howland, Ohio. Wines and Beer located near Warren. Welcome to Michael Charles Premier Wine Shop! 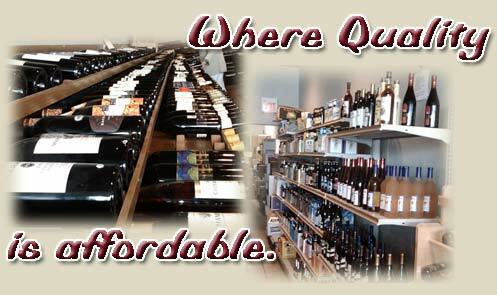 Located in Howland Ohio, Michael Charles has a large variety of Wine to offer our customers. We have a great selection of quality wines and beers from around the world. We also have many gifts, accessories, and a helpful staff. We pride ourselves at giving wine lovers what they have been waiting for... an unpretentious place to buy great wines, at great prices, and learn how to make wine part of a fun, healthy lifestyle. Tell us the type of wine you like Red, White, Sweet or Dry and we will ship a case to your front door for only $120.00 complete!! Please take a look around our site. We will be waiting for you to visit our unique store. Let us earn your business and make you a life long "happy" customer! Copyright 2006 © Michael Charles Wine Shops. All rights reserved.